There are as many casual games as silly ideas a developer can think of. Or even more. 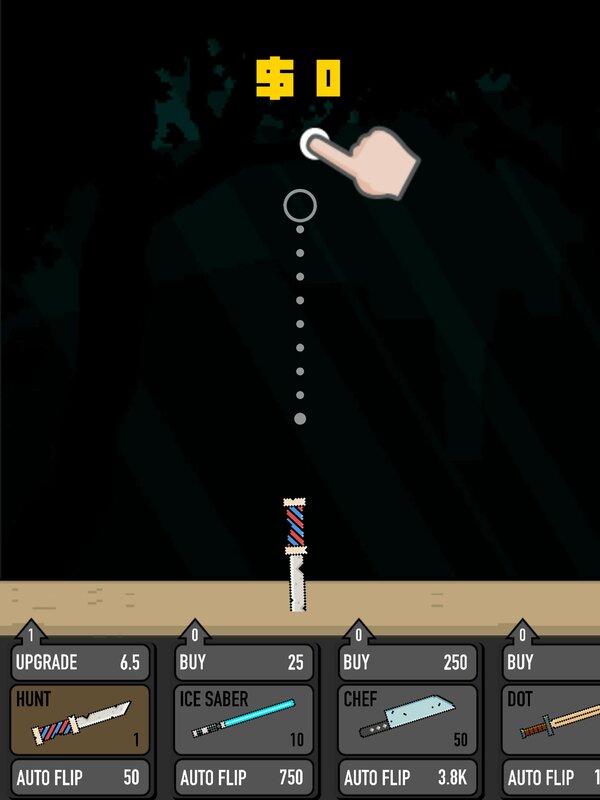 The latest example is probably this Idle Flipper, a game in which we can waste as much time as we want wherever we are. What's Idle Flipper all about and how to play? The game's plot is very simple: we have to throw a knife up into their calculating the strength and direction so that we manage to stick into the table when it falls back down. But although the approach may sound rather stupid, it's a tremendously addictive game... because if we manage to increase our score enough, we'll be able to get hold of interesting incentives. The first one is to be able to swap our knife for other sharp objects such as a Star Wars-style laser saber. That's not the only one as we'll also be able to get hold of other blades. Bear in mind the laws of physics: they're very important to calculate the trajectory of the knives. Nevertheless, we can unlock other worlds that will allow us to throw and stick other objects such as ice cream cones and bottles. It will all depend on how much we practice and improve our throwing skills. However, we'll have to make sure that when we throw, the object in question doesn't go out of the screen, neither upwards or sideways, and we've only got five missed opportunities in each game. 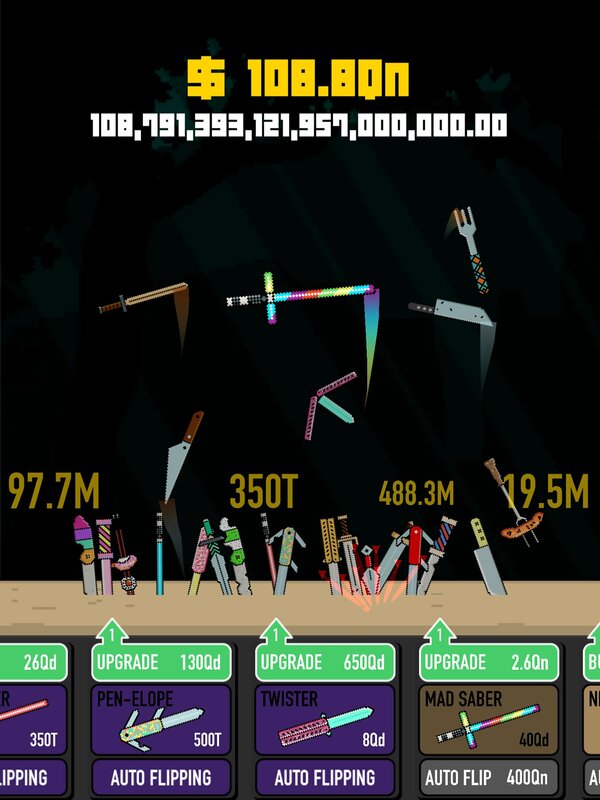 With regard to cheats and hacks for this game, there aren't too many possibilities on iOS. On Android, we can get hold of a few APK mods to hack the game but we definitely won't be able to use them on Apple's mobile devices. On the other hand, there isn't a version for PC either so our only possibility is to downloading the APK file and running it on an emulator.